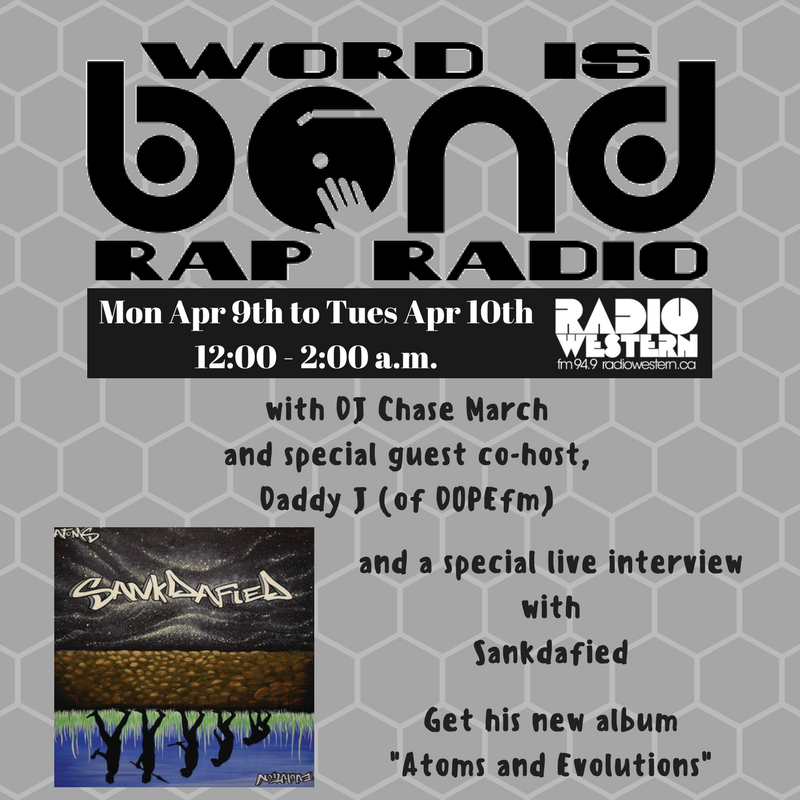 Daddy J of DOPEfm is the special co-host for this edition of Word is Bond Rap Radio. I got my start in radio on his show almost eleven years ago, so it was really nice to rock with him once again. 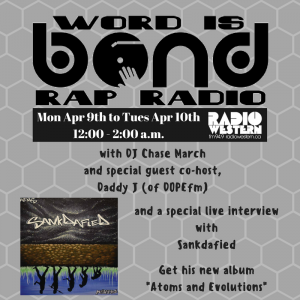 Sankdafied called in to talk about his new album, Atoms & Evolution, which is available everywhere you get your music from now. If you like what you hear today, please support by grabbing a copy of the project.